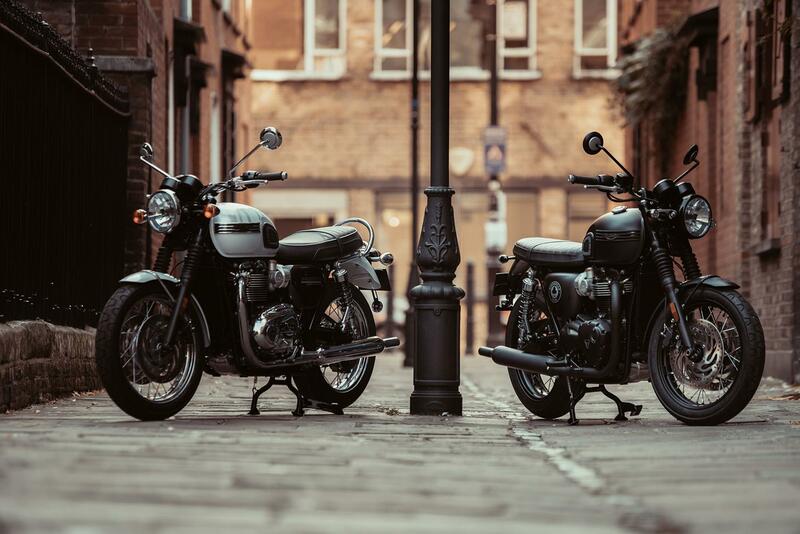 If you look at the T120 and think ‘that’s a bit of me’ then you will love it, especially if you are stepping up from one of the older air-cooled models. As well as a refined ride, it’s comfortable, beautifully styled, has as smooth motor and overall is a very practical retro for the modern world. 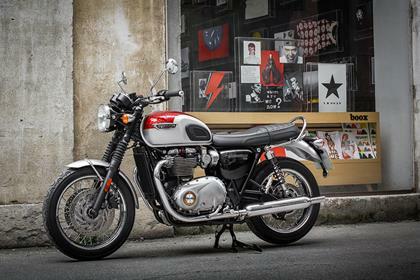 It’s a grown up Bonneville aimed at riders who will appreciate and exploit this new found level of maturity. 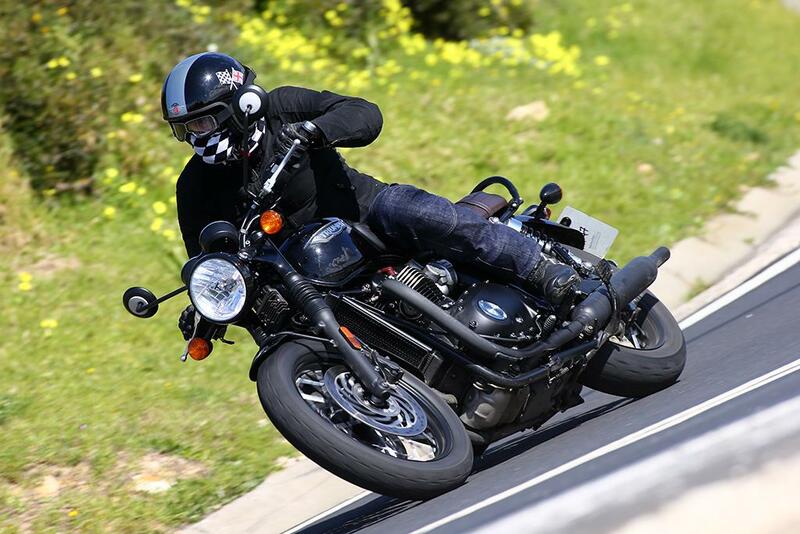 Its chassis is more than capable of carving through the bends, but it has far more limitations imposed on it than the sportier Thruxton when it comes to cornering. Ground clearance is quite limited and the 18-inch front wheel can give a slightly lazy feeling to the front end and odd feedback if you are more used to a 17-inch item. The suspension is soft but perfectly suited to the bike’s relaxed outlook on life. 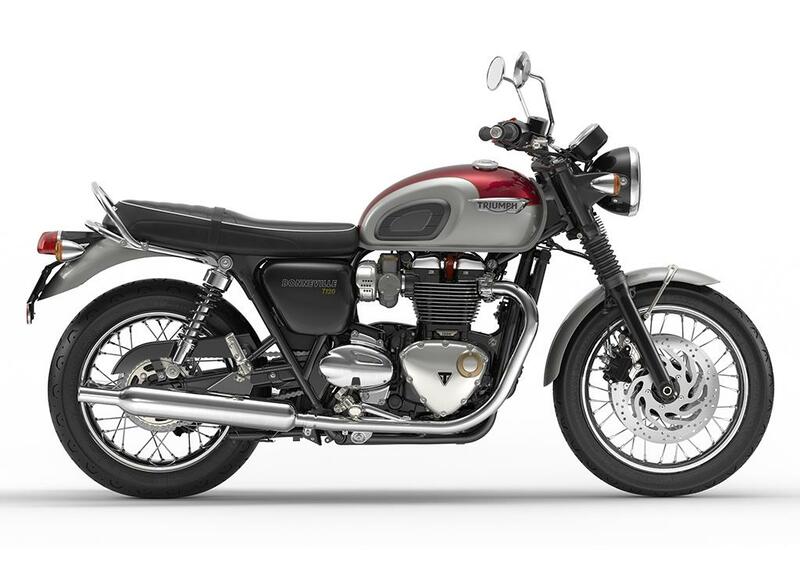 The new parallel twin motor may be 1200cc, but in the Bonnie it has been tuned for maximum ease of use. You don’t need to go hunting for an elusive bit of torque, as long as the rev counter is showing above 2000rpm the T120 is ready to waft you forward with minimal fuss and revs. It’s silky smooth in its throttle response and has virtually no vibrations, certainly not enough to make the mirrors do anything as ungainly as vibrate. 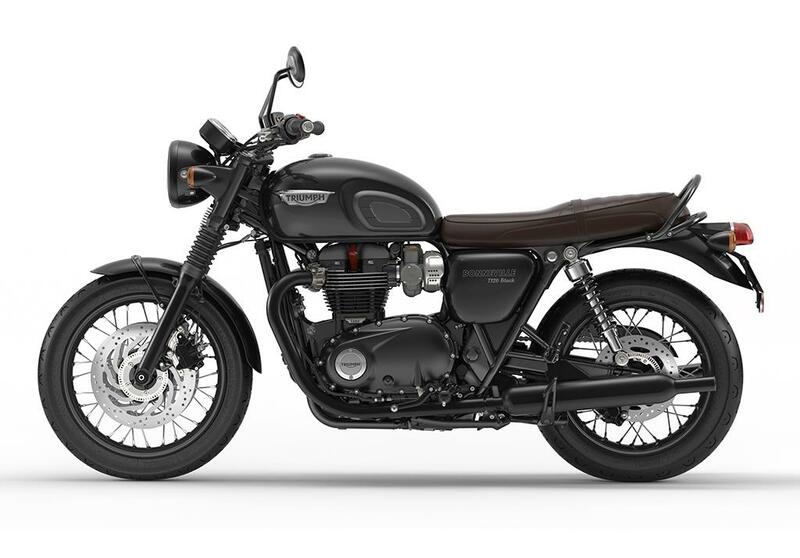 Triumph has lavished huge amounts of time and effort on the T120 and the level of detail and finish is excellent. It is a beautiful bike to just stand and admire and MCN can’t forsee any reliability woes. The motor’s service intervals have been extended to 10,000 miles, which is also good news. The Bonnie offers a lot of technology and style for a very reasonable price. The optional two-tone paint is worth the extra cash as the hand painted pin stripe does really set the bike apart. The T120 Black replaces the T120’s chrome for matt black should you want a more subtle style at no extra cost. 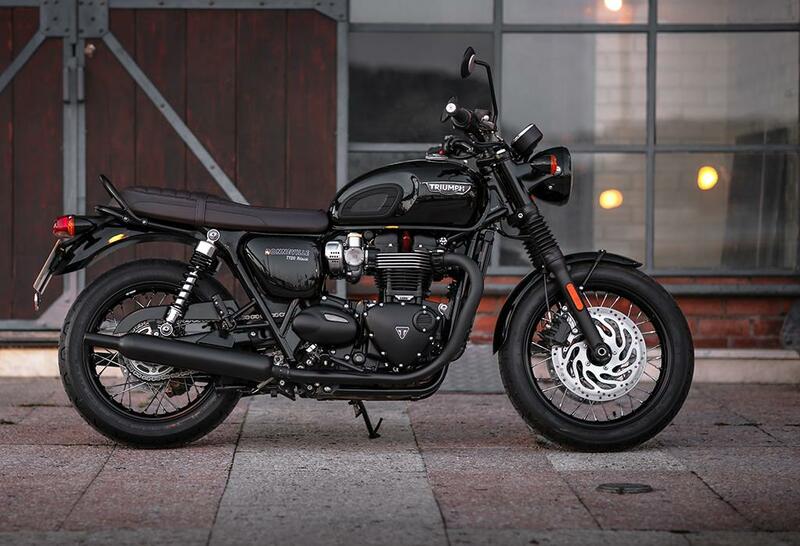 The only adjustment on the suspension is the rear preload, however the Bonnie has two-level heated grips as standard, ABS and traction control. The dash is loaded with useful information such as fuel range and a gear position indicator. A pillion grab rail is standard fitment. 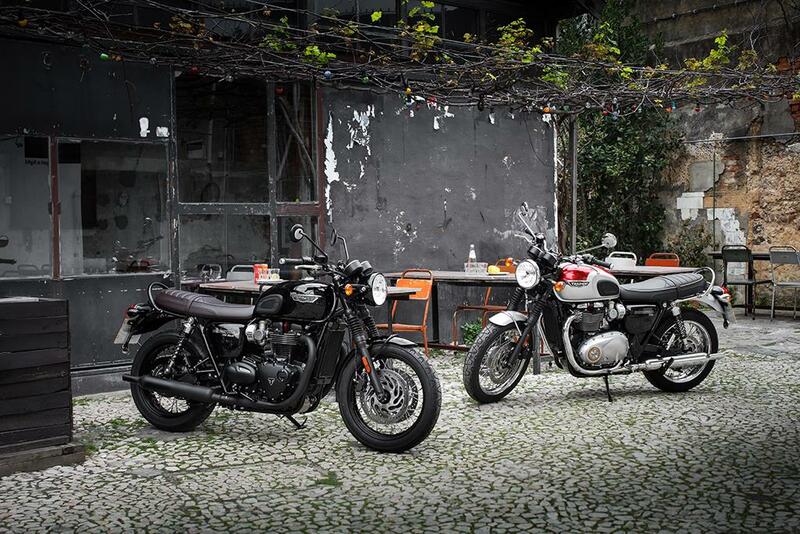 11 owners have reviewed their TRIUMPH BONNEVILLE T120 (2016-on) and rated it in a number of areas. Read what they have to say and what they like and dislike about the bike below. Easy to ride confidently, Toured Europe covering Poland, Hungary, Croatia + others and back to UK at 72 MPG and 4800 over 7 wks two up with luggage. Not a murmer from the bike and took everything in it's stride. Always draws attention and comments from young and old alike and continually confused with the Original 60's Bonnie. Original tyres don't inspire much confidence. All day comfort for two with original seat, Royale (K&Q) seat is not worth the money as it's not as comfortable as the standard seat. Only thing I was concerned about was the tubes tyres, would have preferred tubeless for ease of temp' repair. USB plug is in a strange place hidden under the seat, could have been put in a more accessible place. Fit an X pipe and remove the cat, improves exhaust tone. Heated grips are super. In real world terms , I really can't fault. If I was to be really picky, perhaps the front forks sometimes can get a little bouncy? Amazing , easy to access in the instruments, the best heated grips, decent headlight. It's a naked, so obviously no standard fairing luggage. Beautiful to look at, smooth to ride. Perfect for the rutted roads in Wiltshire. 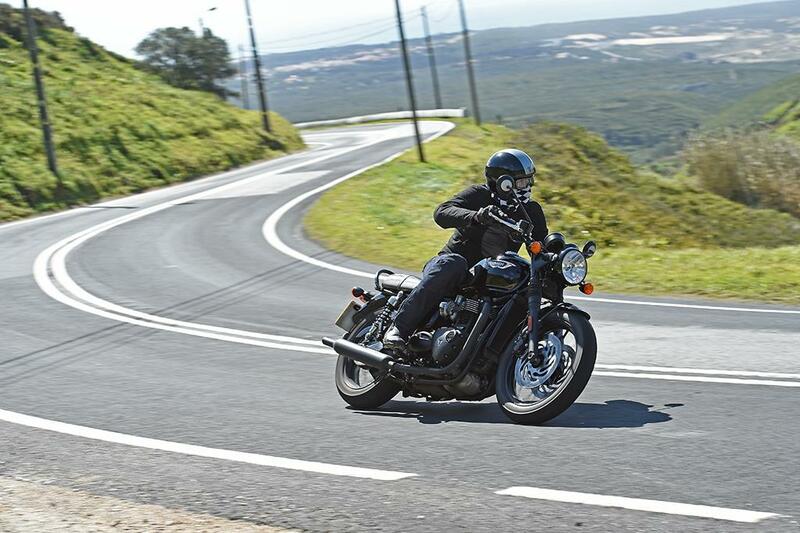 I had a Thruxton R, but it was like a high maintenance girlfriend - great looking, but just too much hard work. 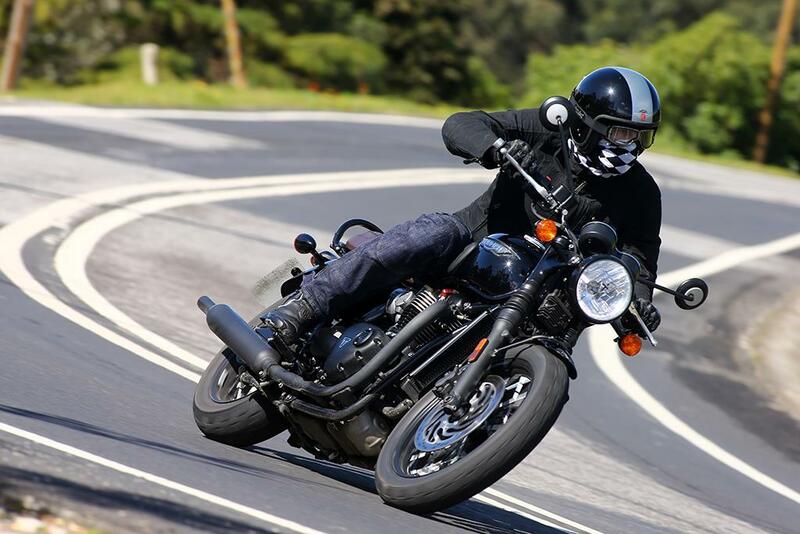 Switched to the T120 and instantly loved its comfort, performance and relaxed ride. Probably the best bike I've ever owned. Brakes are adequate, but could be sharper with floating discs rather than floating calipers. I'm told that changing the pads will produce an improvement. The engine is great, but the gearing is too high. I fitted a Thruxton R 16 tooth front sprocket and now the bike pulls away sharper, speed limits don't sit between the gears any more and 6th gear is now more useable rather than an overdrive. The bike has everything I want or need, but I have added a Dart flyscreen (excellent) and the Triumph oval mirrors to replace the standard long stalks. 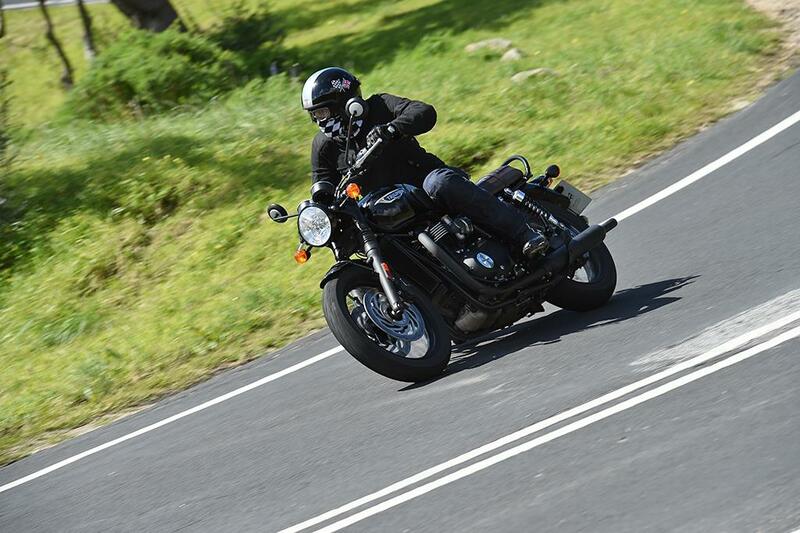 Got a great trade-in for my Thruxton from Pure Triumph at Woburn, and a great price on the T120. Singapore is a humid bloody place. It gets pretty hot when this beaut is in slow traffic (obviously). 15.5k km mileage. Rode it to Malacca, Malaysia and back. No complaints. Blasted it to its max, 210km-ish, wasn't pleasant without flydart screens. Honestly? I wouldn't recommend it to anyone. I would state the obvious, and then some. But I wouldn't recommend it. Call me selfish, but I love the exclusivity. I adore its aesthetic appeal, which is only as equivalent to its responsiveness. It's not obnoxiously loud either, which is a real plus when you're more of a gentleman, or at least trying to be one. Give a bike its due maintenance, it should be fine. I'm keen on purchasing essentials like crashguards, outex tapes and tire foam due to it being tubed, but that's it. Caution: Only for people who adore their bikes to rinse, wash, wipe, polish and maintain their bikes. able to spend a mean rate for a "fanch-ey" bike. Brake noise is bad but the rest of the bike is excellent. Just what I wanted for a modern do all plus look good scoot. Doesn't look like some space alien craft, rather form follows function, always a good design direction. have recommended it to several friends already. Front brakes squeal and have a harmonic just before stopping, drives me nuts!!! Dealer wont even fix it for me, common complaint i hear. 5 out of 5? Well that's me, maybe not you! I wanted a good looking, good sounding, easy to ride, pillion friendly bike. That's exactly what the T120 is, I'm 6ft so its nice a compact for me, step over with no effort, push the button and instance V twin burble (yes its a parallel twin but it has a 270 crank) Easy access power, most of the time I short shift and seldom go over 4000, yes 4000!. its a cruiser not a sports bike - hell if only does around 110mph and is so high geared that's in 4th. Seat is 90 minutes good, for ride and pillion, tank is 2hours+ so get a taste for coffee. Ride is firm and either getting better or I'm getting used to it. Brakes are okay nothing better, Handling is peg scraping good. super stable and different to 17inch front wheel bikes BUT not a limitation. Great sound, and torque up to 90 and dead after, but carries a pillion and offers super easy overtakes with high gear low rev roll on's. So so easy to use, light clutch, great gearbox. All gears super high, final drive is 37/17 against 42/16 for a ThruxtonR (normal Thruxton same a T120) so is very much a overdrive gear. Motor is very smooth for a twin below 4000, not bad above but noticeable. Runs down to 1500rpm with small throttle openings. Great build, hidden cables, cast controls not pressed, easy to clean, however the left had engine cases is scuffed from my boots already - it's posh plastic. Brilliant, Pillion Grab rail, no need of a hugger, centre stand, radiator guard, USB charging point and heated grips all standard. Paid 9600 before options. Bevan's in Cardiff are great to deal with. The bike is beautiful to look at and when you're on it you will get a big smile on your face, this is the reason to buy this bike, coupled with the fact its English and that it looks like a bike not a Transformer is another, the engine is creamy smooth and full of low end grunt. It has English mixed in the oil and if you are English it will take you back to the 60's when everything was as it should be now! So take yourself back and dream of being there! No other brand can do that. I am used to a BMW which doesn't dive under front end braking, this bike dips under heavy breaking but not enough to worry about. The comfort seat option has a type of memory foam infill which isn't suitable for long journeys. Very smooth to 4,000 RPM after which slight vibration does set in but not enough to spoil an enjoyable ride. The BMW I had produced 110 bhp, this Triumph has 78, however because the triumph has so much torque the engine is better than the BMW and has less vibration. Beautiful finish, could have provided some of the extras as options or included them in the mix, but hey its an extra revenue stream. Be prepared for long wait times for accessories such as Panniers and the King and Queen seat. Carl Rosen in Sanderstead Surrey pulled out all the stops to provide the bike, their manner is an example to all. Don't know cost but intervals are 10K or annual. it comes with all the stuff you used to have to add = grab rail, centre stand, heating grips, locking fuel cap and radiator guard no hugger needed also.